About an hour into A Quiet Place, when the movie really kicks into high gear, I realized I was holding my breath, trying not to make a sound. If I made a sound, I would be brutally murdered by three very angry creatures (maybe they just really like their silence?). The truth is I was comfortably sitting in a theater witnessing one of the best thriller movies I’ve seen in years. The premise behind A Quiet Place is simple: Make a sound and creatures lurking in the woods will attack. Turns out, not making any sound during your daily life is very difficult, which is what gives the movie so much great tension. Even something as innocent as a sneeze can be deadly. The movie begins with a family foraging through an abandoned town, looking for supplies and anything else they can use to survive. A few minutes later, and something happens that instantly humanizes them in a powerful and heartbreaking way. It’s such a crucial moment that makes us care about each and every one of the characters. Which is why when any one of the characters onscreen took a step I winced, anticipating the worst. It’s a testament to the world the movie—and director John Krasinski—creates. The audience immediately understands what’s at stake, so you care for their well being. When making noise is the enemy, there’s a lot of opportunities to build suspense. Never has knocking over a lamp been so frightening. And that’s just the start of it. Throughout the movie, sound is so expertly used that there’s never really a moment of comfort, even when it’s dead silent. When the family thinks they’re safe, they’re not. Something bad can happen at any moment. And bad things do happen, and they continue to happen for the last sixty minutes of the film, resulting in one of the some of the most suspenseful moments I’ve ever seen. Things snowball in such organic ways, too, and nothing ever feels forced or shoehorned in to fit the narrative. There’s an especially great scene with Emily Blunt doing laundry…I’ll just leave it at that. Blunt, by the way, anchors the film with a powerful performance. Krasinski is also fantastic as the father trying to protect his family. 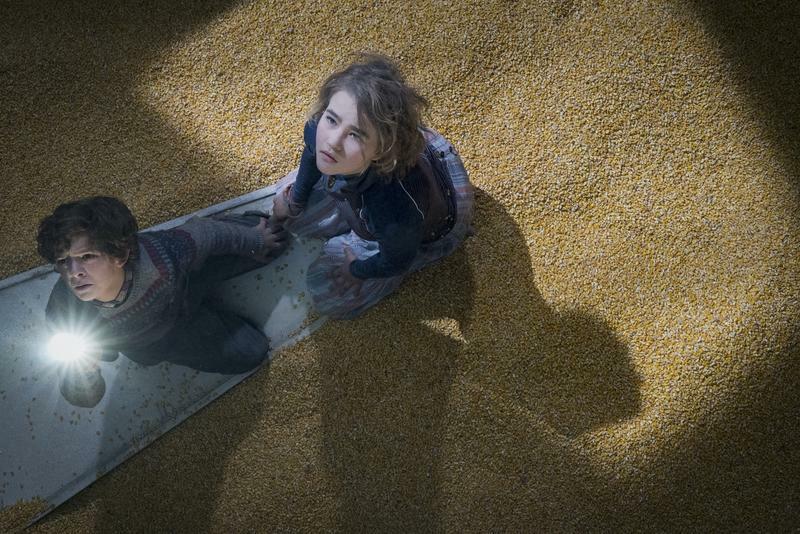 Then there are the kids, played by Millicent Simmonds and Noah Jupe, who add further gravity to the world. Jupe’s character grapples with trying to be brave, while Simmonds’ character struggles to accept a role she played in an earlier incident that impacts the family in a heartbreaking way. The film isn’t notable for exploring new themes or ways to tackle tension and suspense. But the premise elevates it beyond your typical horror fare. And Krasinski’s direction is immaculate, controlling the film and how things unfold with expertise. The pacing is great and there are plenty of terrifying moments, ones that you’ll be talking about for a long time. Krasinski also does a great job by not force feeding the audience with unnecessary exposition. It’s pretty easy to understand what’s happening within the first few minutes. And there are breadcrumbs over the course of the movie to better fill out the world, whether it be through newspaper headlines strewn about or a whiteboard of information about the deadly creatures. Which, by the way, are some of the best movie monsters to come around in a long time. 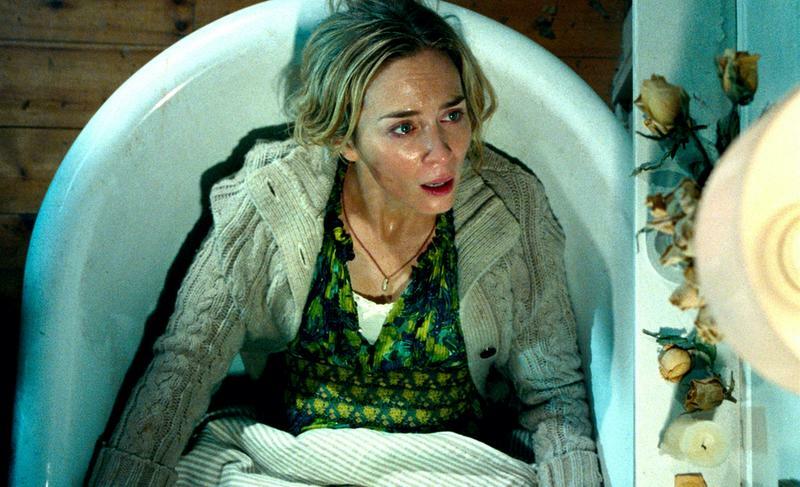 If you’re a fan of the Xenomorph in Alien, then you’ll love the monsters in A Quiet Place, which are terrifying for their speed and strength. As the credits rolled for A Quiet Place, I felt extremely disappointed. Not because the movie wasn’t good, but because I wanted to see more. The film does such a great job of building a suspenseful world that I didn’t want to leave. If you’re a fan of thrillers, then A Quiet Place is a must-see.